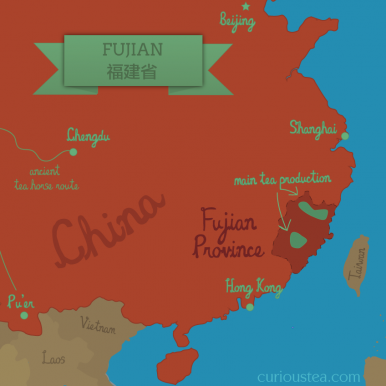 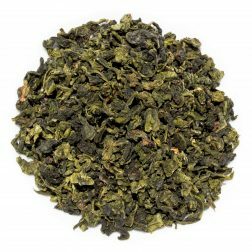 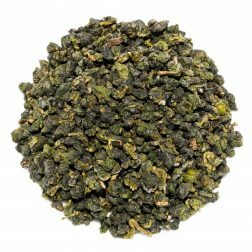 Lao Cong Shui Xian is a highly aromatic Old Tree oolong from Wu Yi Shan in Fujian Province. 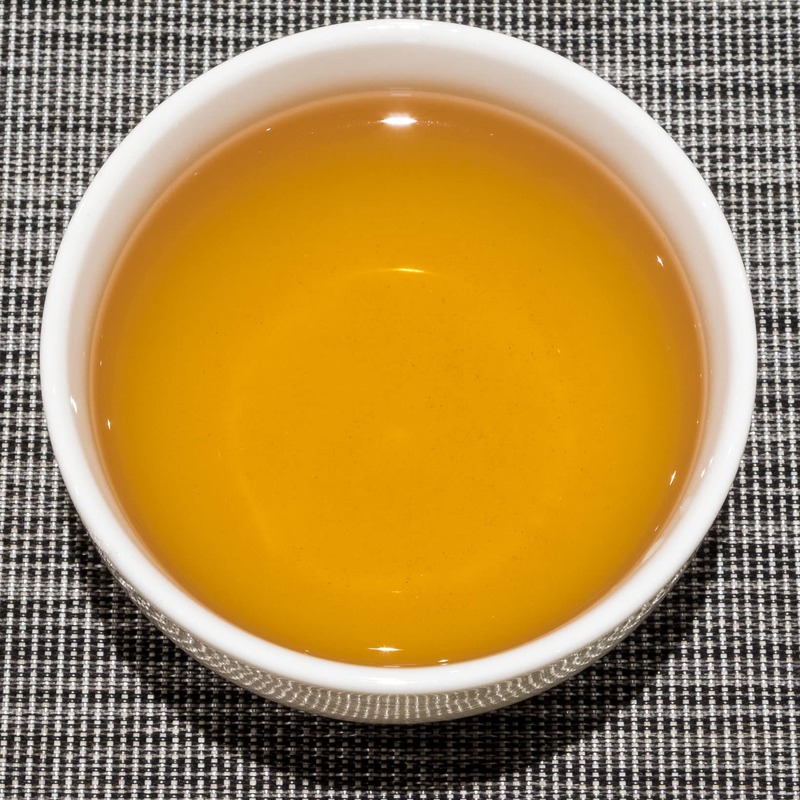 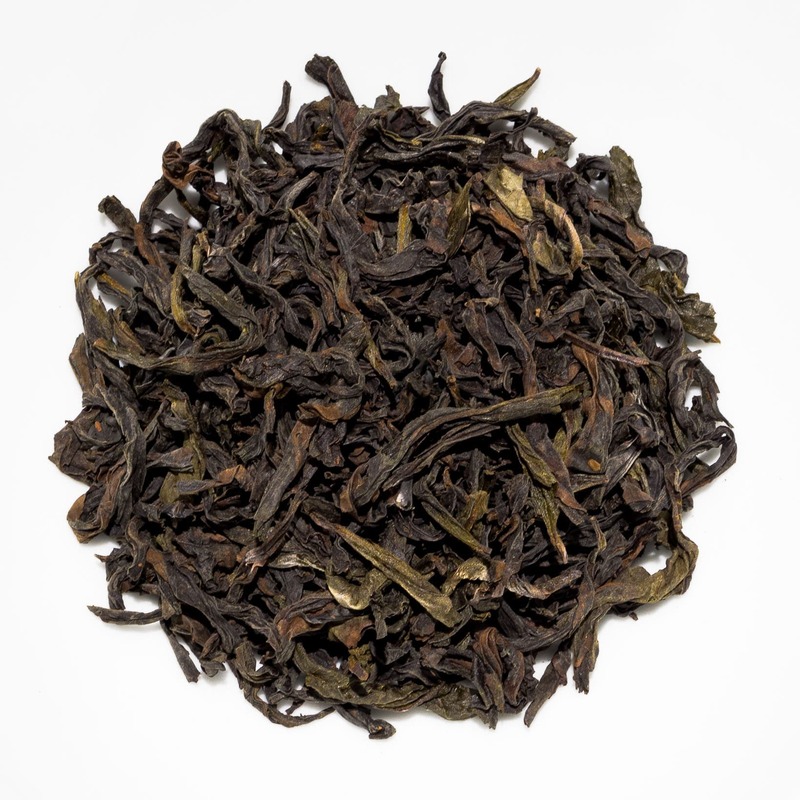 This characterful yancha produces an amber liquor with a heady floral aroma. 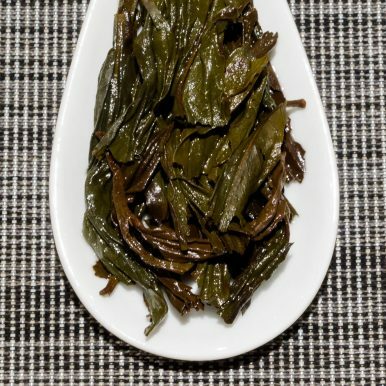 The clean, floral profile has roasted and stony notes with a dry and spicy long-lasting finish. 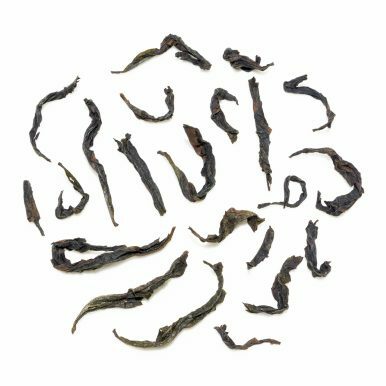 Lao Cong Shui Xian (老枞水仙) is a fantastic oolong from Wu Yi Shan in Fujian Province of China that is renowned for producing some of the best and most characterful oolongs. 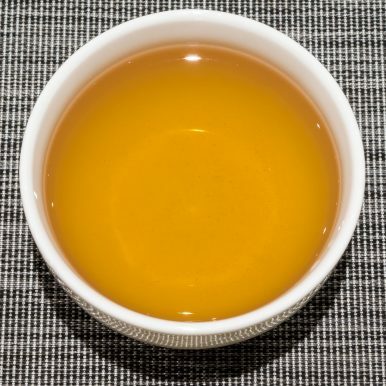 This ‘half rock’ Banyan (半岩) tea is made from leaves plucked from old trees (Lao Cong) that are more than 70 years old grown in the Banyan tea production area of the Wu Yi Mountains. It has undergone medium roasting, resulting in an attractive complex flavour. This particular lot was produced in May 2018. 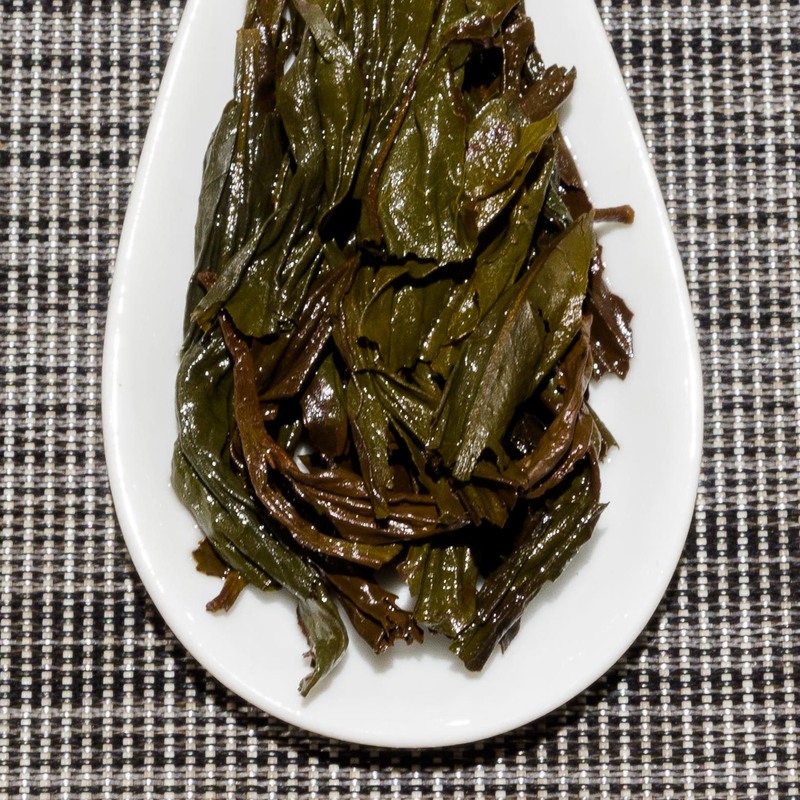 The leaves of this Lao Cong Shui Xian are rather large and produce an amber infusion with a heady floral aroma. 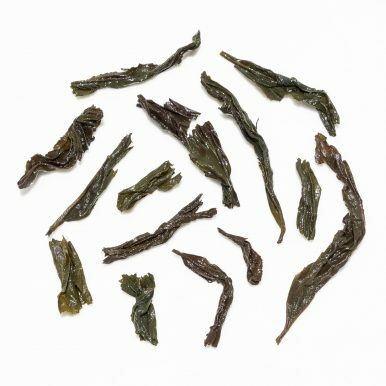 The medium roast level results in sophisticated but very well balanced flavours. 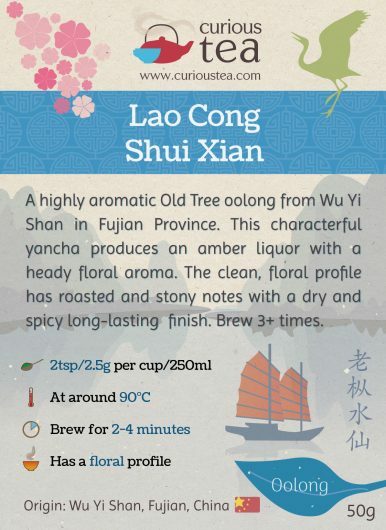 The liquor has a mouth-watering quality to it, with long lasting clean floral notes. 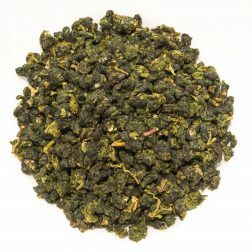 There are dry and stony flavours that signify this is a Wu Yi Rock oolong. 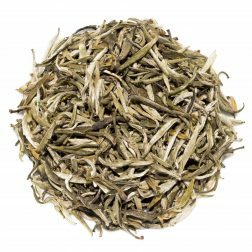 The slightly spicy finish combines with overall roasted and floral honey flavours to create a very pleasing yet complex aftertaste. This Old Tree Wu Yi Rock Lao Cong Shui Xian oolong tea was first featured in our March 2017 Curious Tea Subscription Boxes.